It’s modus operandi is quite simple. You create a Trigger condition, where an HTML element is checked against a CSS selector. If the CSS selector applies to the HTML element, the condition passes. For a nice list of currently supported CSS3 selectors, check out the W3Schools guide: CSS Selector Reference. Here are some CSS selectors you might find very useful. 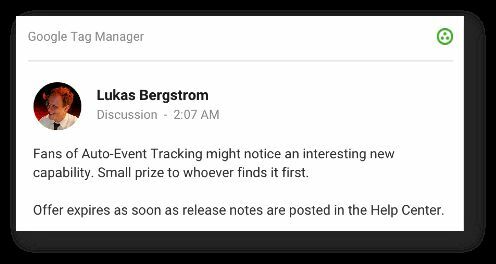 These are all auto-event tracking related, because the possibilities of auto-event tracking just opened up in a completely new way with the introduction of this new Trigger operator. 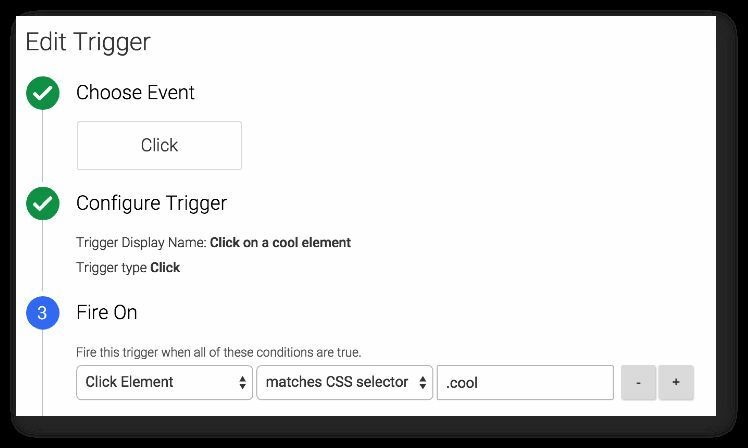 Instead of targeting Click ID or Form Class, you must now always provide an HTML element to the Trigger condition. So, you’ll need to use Click Element or Form Element (they’re the same thing) to pattern-match against your auto-event target element. As you can see, you can do pretty creative stuff with it. The most significant asset is, by far, the chance to see ancestral relationships. You can now check if the element that was clicked or submitted is the child or direct descendant of any given element. What an ingenious way to fire tags only on clicks under the main navigation, for example! This condition would match clicks on a HTML5 <video> element or any of its descendants. Luckily, CSS4 is already pretty far in its draft stages. It brings a slew of amazing new features, which will only make this CSS selector Trigger even more powerful. Just to wrap this post up, here’s a technical description of the new operator (thanks Brian Kuhn!). There’s nothing revolutionary about it, proving how GTM still leverages well-founded practices rather than inventing the wheel again each time. The code above would evaluate to true if the given element has the class “thisclass”. 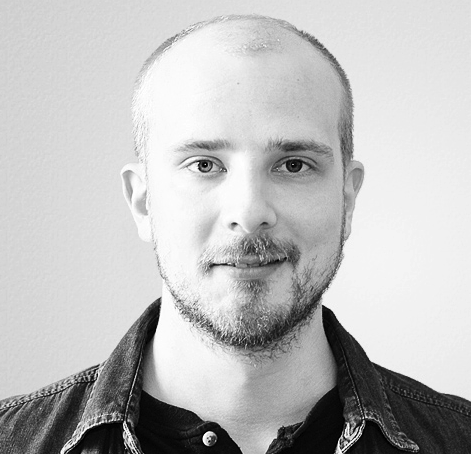 matches() isn’t supported by all browsers, and e.g. Internet Explorer only supports it at version 9.0. For antiquated browsers, GTM falls back to checking each node that matches a given selector, and it returns true if the given element is among these nodes.